two + 3 = Required Please enter the correct value. Each of these three penny stocks has made a recent announcement that could serve as a major catalyst in 2016. In fact, one of these top penny stocks has already climbed more than 200% today alone and has plenty of room to run from here. While penny stocks can bring huge profits, they can also be highly volatile. 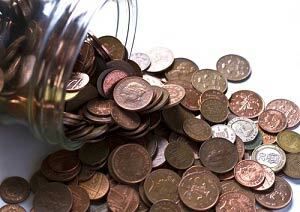 That's why Money Morning experts advise that penny stocks should only represent a small percentage of any portfolio. And one stock should never account for more than 2% of your investing capital. Money Morning Chief Investment Strategist Keith Fitz-Gerald tells readers that the key to finding the best penny stocks in 2016 is the same as finding any strong investment. Know what to look for and have the right risk tolerance and perspective. "Tiny micro-cap companies – penny stocks by any other name – can be fabulously profitable over time when done right," he said. "They can be a great complement to a disciplined investment strategy as long as you keep the risks in perspective." Penny Stocks to Buy Now No. 1: GigOptix Inc. (NYSEMKT: GIG) is a leading supplier of advanced semiconductor communications components for use in cloud connectivity, data centers, and high-speed optical and wireless networks. Wednesday, GigOptix announced it signed Avnet, a leading global technology distributor, as the distributor for all GigOptix product lines sales in China. Establishing the partnership with Avnet marks an important milestone for GigOptix. It enhances the already solid business of GigOptix in the Chinese enterprise and cloud connectivity markets. It also supports the anticipated rapid growth of the business over the next few years. In February, GIG signed UKC Holding Corp., the largest distributor of electronic components in Japan, as its distributor for all sales in the country. Ladenburg Thalmann initiated GIG with a "Buy" rating on March 9. At $2.45, shares are up 97.58% in the last year. Penny Stocks to Buy Now No. 2: Heat Biologics Inc. (Nasdaq: HTBX) is a clinical-stage biopharmaceutical company focused on novel off-the-shelf cellular therapeutic vaccines for a range of cancers and infectious diseases. Its Immune Pan-Antigen Cytotoxic Therapy is designed to educate and stimulate the immune system to combat cancer. Products under development include therapeutic vaccine candidates, such as viagenpumatucel-L (HS-110), in phase 2 clinical trials for the treatment of non-small-cell lung cancer, and vesigenurtacel-L (HS-410), in phase 2 clinical trials for the treatment of non-muscle-invasive bladder cancer. HTBX is also developing cell lines for the treatment of ovarian cancer, triple-negative breast cancer, and pediatric rhabdomyosarcoma. In late January, HTBX reported that HS-410 has been well-tolerated, with no serious adverse events in clinical trials. Noble Financial began coverage of HTBX on Jan. 8 with a "Buy" rating and a $16 target price. HC Wainwright reaffirmed it a "Buy" and set a $13 target price on Feb. 21. Cantor Fitzgerald rates shares as a "Speculative Buy." Shares spiked 219% to $2.37 Wednesday morning absent any available news. But that price target of $16 would represent an additional gain of 575%. Penny Stocks to Buy Now No. 3: Ekso Bionics Holdings Inc. (OTCMKTS: EKSO) is a manufacturer of bionic exoskeleton devices. These "wearable robots" are strapped onto soldiers, paraplegics, or amputees to enhance their strength and mobility. EKSO stock is one of Fitz-Gerald's favorite penny stocks because it taps into one of his six "unstoppable trends" – human augmentation. This market involves technology that enhances human capabilities and allows us to accomplish tasks beyond our natural prowess. The market is growing at an "unstoppable" pace. Research firm MarketsandMarkets projects the valuation of the human augmentation sector will grow to $1.14 billion in just four years. WinterGreen Research projects it will reach $2.1 billion by 2021. And Ekso is at the forefront. In January, EKSO announced a new randomized comparative clinical trial is underway in Europe. "The MOST Study" trial shows how mobility improves after a stroke when a robotic device is used in comparison to physical therapy. Last month, EKSO was awarded a contract to develop a new exoskeleton design for the Defense Advanced Research Projects Agency's (DARPA) Warrior Web program. The new initiative is focused on the creation of a groundbreaking flexible exoskeleton designed to reduce the wearer's energy output while also assisting with load carrying. This marks the fourth time DARPA has tapped the company's Ekso Labs division for its unparalleled exoskeleton knowledge to develop a more advanced generation of exoskeletons. Roughly three million people worldwide suffering from spinal cord injuries could benefit from EKSO's products. With shares changing hands at $0.85 per share, EKSO is an optimal and cheap way to play the exploding human augmentation market.